Helen Hudson brings us up to date on all the happenings at the Barbican Estate, including the launch of their very own new tipple, the Barbican London Dry Gin. Firstly – and most importantly – it is that time of year when we all get together for the Barbican Association (BA) AGM, so please diarise 7.30pm on 24 April at the City of London School for Girls (doors will open 7pm). Like last year, we’re going to have a range of updates from the very active sub-committees on what they are handling for us. The AGM will also elect the honorary treasurer, honorary auditor, and nine members to the BA General Council. There will be wine and soft drinks afterwards, as usual. If you haven’t renewed your membership with the BA yet, you can do that at the AGM; there will be a membership desk manned near the entrance. The Barbican Centre has launched its very own tipple – the special edition Barbican London Dry Gin. I’ll copy and paste the technical specs here; the gin has been distilled using the finest 100% British wheat spirit infused with lemon and grapefruit peel, coriander, angelica root, juniper berries, cubeb berries and cardamom, and features a label design inspired by the iconic Brutalist architecture of the Barbican. Chiefs are planning a tasting event in the Barbican Shop in April, but all you need to know right now is that they are giving us a couple of bottles to try out at our AGM, so that’s something else to look forward to, apart from the catch up with the BA crew! Trouble in’t mill with our representatives still not being able to speak and vote on behalf of residents without securing dispensation from the standards committee. A resolution passed at a recent Cripplegate Wardmote declared no confidence in the City Corporation’s current standards policy and practice, and called upon the Court of Common Council to make immediate and fundamental reforms. There is also a separate petition which is collecting signatures and needs your voice. Please contact your house group representative to have your say. The petition needs to be lodged with the town clerk on 15 April, so time is short. You may recall the proposal to install a raft of mobile phone transmission equipment on the roof of the Barbican Arts Centre (planning application reference numbers 19/00108/FULL; 19/00109/LBC). The BA has reiterated its objection, and it is delightful to see that 194 objections have been lodged against this application. I notice that the City’s planning website has had a revamp. Unfortunately, and perhaps as a result, the site has been down for days at a time which can be very frustrating. 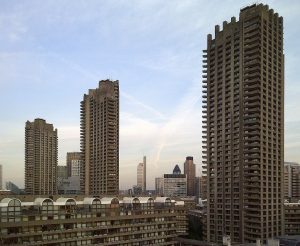 Lots of projects are kicking into gear as part of the background planning for the Barbican’s 50th birthday. All the main events look like they are going to be scheduled for June, but the team behind Blooming Barbican (who are wanting us all to get our window boxes planted in time) need us to act now. I can understand the stinging pain they must feel in their green fingers when residents’ boxes are empty. I also appreciate that not everyone has the time to put the work in, but don’t worry, the team are making a determined effort to banish the blight and have come up with a clever ‘Good Neighbours Helpline’ scheme to help those who need assistance in planting and watering. More info on this as soon as possible. You may have received the email from the Barbican Estate Office regarding the Salvage Store, but for those of you who didn’t, the team have requested that, if you are doing a refurbishment, you offer your bits and pieces to the store for others to make use of. I know that the bathroom ‘globe’ light fittings and the original wardrobe handles are particularly rare commodities. Where a full refurbishment of an original flat occurs, please make sure the contractor offers items to the store, but don’t let them just dump things outside the store because that creates havoc and is a real problem for the volunteer team. More details about what can and can’t be ‘recycled’ for use by your neighbours is available on barbicansalvage.org, but contact with the salvage store is made most easily via barbicansalvage@gmail.com. The team are all volunteers, so they might not get back to you immediately, but please give your name and address and one of them will then get in touch. If you have time during the week, they are also looking for volunteers to help them manage our precious stockroom. Meanwhile, I’m struggling to get excited that we’re all getting new cold water tanks but we can at least respect and celebrate their longevity in this special year. It’s a pretty long job which starts now with Defoe House (apparently theirs were in the worst condition) and ends with Willoughby House by July next year. I suppose we can expect delays along the way and we have been warned of that possibility, but hopefully the company handling the project will be good communicators and keep everyone informed at the right times. Something that I never knew about (and perhaps you didn’t either) but wish I had is that we have a Barbican Games Club. They meet at the Barbican Library every Thursday 3pm to 5pm. You can bring your own games or they have Scrabble, chess, Rummikub, and cribbage on site already.